This week, the Fourth of July and Canada Day are upon us, and you know what that means: loads of colorful explosives set off in the night sky to delight and entertain us. Last year, you may not have been planning to take pictures of fireworks (which is why you left your fancy-schmancy DLSR at home, right? ), but suddenly, you felt compelled to snap shots of the show happening up above with your phone. Then you got home and realized you took a bunch of blurry, wasted pictures, leaving you feeling empty and with no memories of the previous night’s entertainment. We don’t want you to have that kind of experience this year with your photos, so we put together a little guide to snapping pictures of fireworks this week, no matter what you’re celebrating. 1. Stake out a great spot. You probably already know where you’re going this week, but even if you don’t, it’s never a bad idea to keep your eyes peeled for a good vantage point to take your photos from. Every year, my family backs our truck into an overlook where we can see our city’s annual fireworks display, and I try to climb on top of the cab for the show, so that I don’t have my drunken friends leaning into my shots. If you’re not sure where you’ll end up, that’s okay — you’ll still have time before (and even during) the show to experiment with potential angles and other variables. Just make sure you’re not in a place with a bright light shining into your camera, since your phone’s auto exposure will hate you when you try to take pictures of those fireworks. 2. Bring a smartphone tripod, or steady yourself. Any time you take pictures at night without a tripod, it’s tough to get a shot that isn’t shaky. That’s because you have a longer shutter release time, and we’re not robots that can be perfectly still. 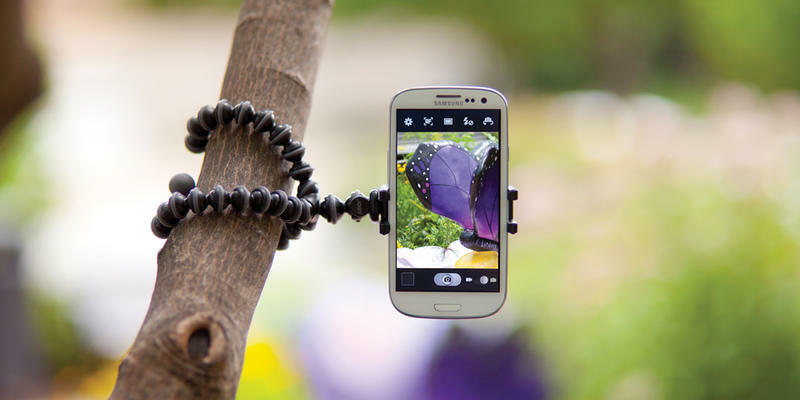 If you have a couple extra bucks handy, pick up a small smartphone tripod. You’ll be able to set it up on a picnic table, or any reasonably flat surface in your surroundings, and it will make a world of difference. They cost between $10 and $30, and can really mean the difference between blurry messes and beautiful night shots. Bonus: you’ll get use out of it for future photography, and it’s portable enough to toss it in your laptop bag. Don’t have time to have a tiny tripod shipped your way, or are short on cash? That’s okay. Just try to steady yourself on anything nearby. In addition, I’ve found that taking a deep breath in, and then breathing out evenly and slowly while you take a picture helps steady your grip. If you have time, practice snapping pics of things like distant lights at night before the big fireworks show; you’ll get a good idea of what works best for you, and you’ll become a better photographer because of it. 3. To app, or not to app? There’s one specific benefit to shooting with your phone’s default camera app: it’s highly optimized, meaning it likely has the fastest shutter speed for snapping nighttime pictures. Does that mean you should avoid third-party apps? Nah. You can also try grabbing some shots with apps like Lightbomber for iOS, CameraPro for Windows Phone, and Night Camera for Android (though Android seems to have slimmer pickings in terms of slow shutter camera apps). If you have that tripod I mentioned earlier, third-party apps might produce some really great shots; on the other hand, if you don’t have a tripod, you may want to stick with the native camera app on your device, mostly due to extra processing potentially causing blurriness if your hand isn’t as steady as you’d like it to be. 4. Lock your exposure and/or focus. I know you’ve experienced the agony of missing a great shot because your phone felt the need to re-focus or adjust its exposure. It’s easy to lose out on fireworks shots if your phone’s camera is going ballistic, but you can easily fix that by locking the auto-exposure and/or the auto-focus features. 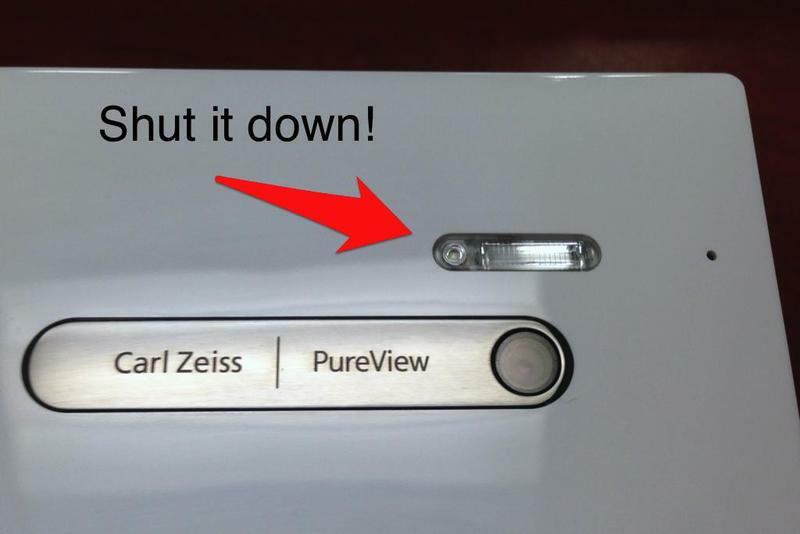 On iOS, it’s simple. Boot up the camera app, let the camera focus/expose the object or person you want to snap a picture of, and then long press until you see the blue square pulsate and disappear. Now, you should see “AE/AF Lock” on screen, and you can start snapping pics without your phone continually attempting to adjust mid-firework. 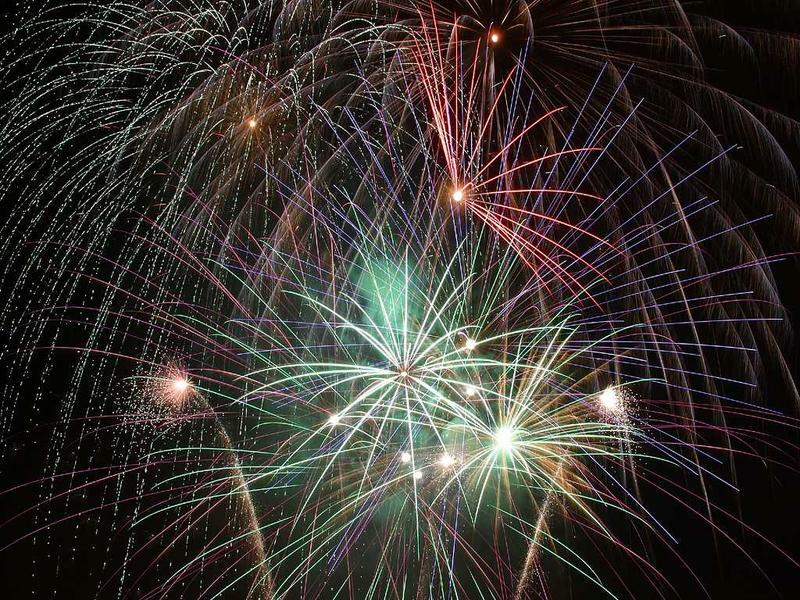 Use one firework to set up your exposure and focus, lock it down, and shoot away. On Android, it’s a bit trickier, as each OEM has their own camera app, features and settings, and as happens often with Android, your mileage may vary depending on your specific device or software version. 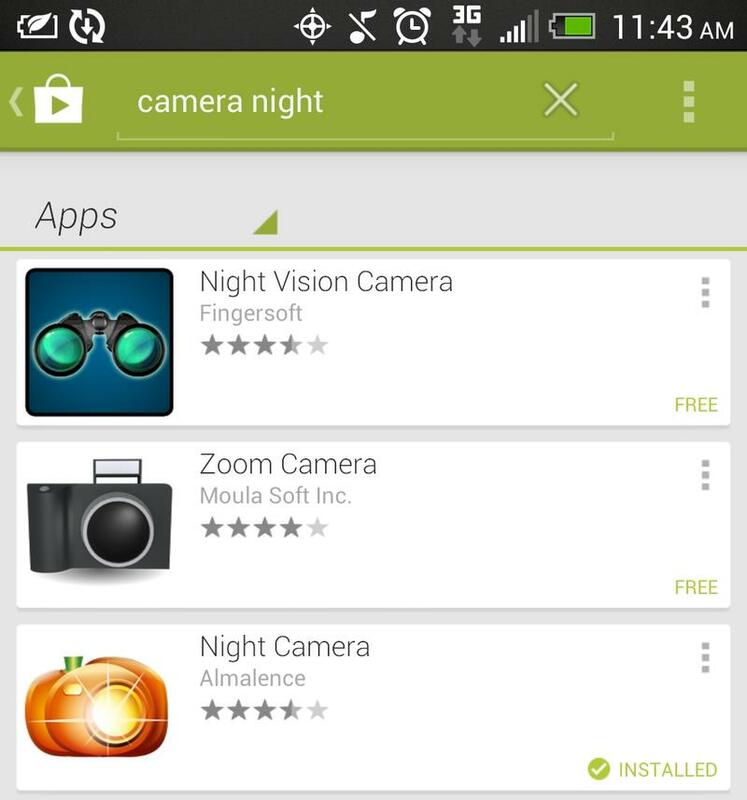 You can try third-party apps like Camera FV-5, but the developer states your mileage may vary based on what device you’re using, so do your due diligence before making a purchase. 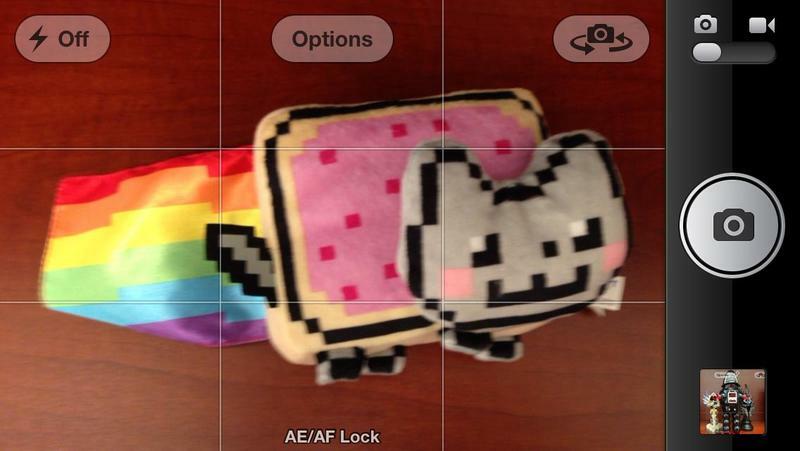 For Windows Phone, CameraPro has AE Lock, but like Android, may not work on all devices and software versions. Double check before picking it up to make sure it’s compatible with your phone. 5. Leave digital zoom alone. As much as you’ll want to zoom in on those beautiful lights bursting in the sky, stay the heck away from that digital zoom. That road only leads to tears*. Snap away, and crop your photos later, when you have a chance to go over them and decide which ones made the quality cut. 6. Shut off your flash. There is nothing that tiny LED or Xenon flash is going to do to help you take pictures of fireworks. Disable your flash, especially if you’re sitting behind people; otherwise, you’ll end up with a bunch of pictures of the backs of everyone’s head and some faint light in the sky beyond them. Also, to paraphrase Gollum: It annoys us. We hates it during fireworks, Hobbitses. 7. Don’t spam social media with your pictures. We all know you had a great time taking pictures of the fireworks in your hometown… but so did about a gajillion other people. Also, most of your shots won’t be ready for primetime on the world wide web. Use the golden rule (a.k.a., “Treat your friends’ timelines like you want them to treat your own”), and pick out your absolute favorite nighttime shot to share with everyone. Not only will your pals and followers appreciate your willingness to spare them “fireworks spam,” they’ll also think all of your shots must have looked just as glorious, and consider you a phone-tography master going forward. 8. If all else fails, cheat a little. If you’re having a horrible time taking pictures, and nothing works, here’s a handy little trick I’ve used on more than one occasion. Shoot video of the night sky, then export or take a screencap of your best shot to use for a photo. Sure, it’s not perfect, but it’s been known to work in a pinch (especially when the fireworks show goes by so quickly). Lots of people have trouble shooting moving objects at night, so don’t be ashamed if you have to resort to some behind-the-scenes shenanigans to get that perfect shot. That’s all the advice I can give you, patriotic revelers! I’m dying to see if these tips help you out during your festive celebrations, so send me your best fireworks shot, and we’ll post a gallery of the best ones later this week. Good luck out there!